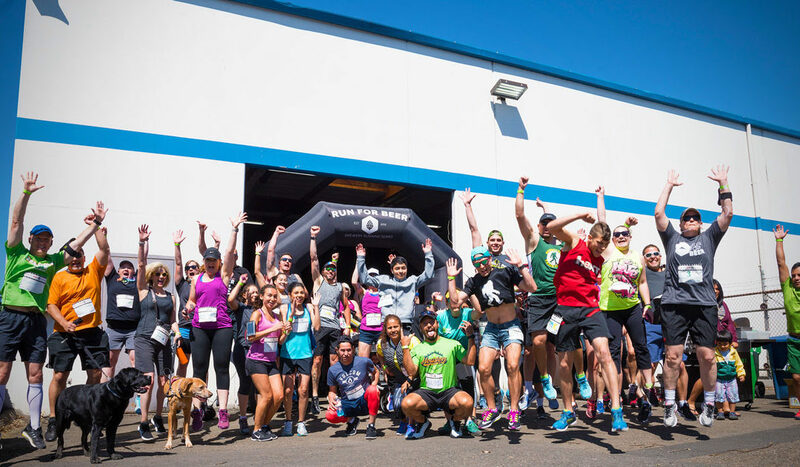 It’s officially summer, and we think the best time of the year to join us for an Oregon Brewery Running Series 5K fun run! We’ve already had a Beer Quest and Summer Cider Run, but if you missed those, don’t worry; we have five more runs this summer. Below is a quick preview of each of them, along with some unique promo codes that are good through the fourth of July, 2018. Run with us this summer! Officially, our summer running schedule begins on July 21, 2018, at Migration. We added two special runs in June. Beer Quest and the Summer Cider Run were both wonderfully fantastic, and introduced us to many new runners, getting active with us for the first time. We can’t wait to run, drink beer, and support a couple of local non-profits with you this year! As I’ve said before, Migration is my neighborhood brewery. They recently opened a second location out in Gresham to handle their expanding production. We’ll be running in July at their original spot on Glisan and 28th in NE Portland. Migration is known for a diverse style of brews and creating a community space for locals to gather. The course will again run near Laurelhurst Park, and is mostly flat! Located at 10th and Division in Southeast Portland’s “Brewers Row” area this will be our first time at Grixsen, and we couldn’t be happier. Grixsen subscribes to the Reinheitsgebot code of brewing, meaning they don’t use a lot of adjunct in their beer. Purity is king here! We’re excited to be the first event they will host in their new expansion project. Expect great food, delicious beer, and a run that will lead you by Portland’s fantastic waterfront. Ordnance Brewing’s mail location is in Bordman Oregon, about 160 miles east of Portland. For this event, we will be at their taproom in Wilsonville, and there might be another brewery joining us. Our suburbans runs have been SUPER popular, and we anticipate this one will sell out. Ordnance is a one-of-a-kind brewery in that they grow many of the ingredients that go into their brews. Back again for the third year, Laurelwood Brewing in Northeast Portland is always a huge draw. Last year, we were coming off that crazy hot spell. This year, we plan to have some “water stuff” before and after the run to keep cool. My family goes here often (they have a great play space for the kids), and I’ve noticed they have been pumping out some delicious new beer lately. We anticipate this run will sell out as it’s already about a quarter of the way there! Fort George is in Astoria Oregon, and we’ve heard from many folks that they plan to make a weekend of it. The course will likely include a massive climb up a big hill, which will reward you with picturesque views of the river, the city, and everything else you enjoyed from the Goonies. “The Fort” is all about making fresh beer and getting it straight from the source is the best way to drink it! We’re all about encouraging Oregonians to get active, have fun, and give back. 10% of every registration goes to support the work of our non-profit partners. To help you to get active, below are some summer deals we’re running through July 4, 2018. SummerFree18 – 5 entries to any summer run (one per person please). Summer18BeerRun – 25% off for everyone!